Kramme and Zeuthen KZ. 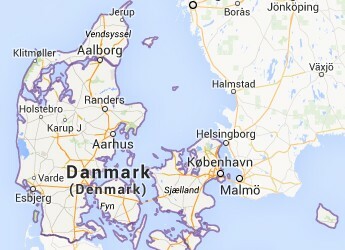 VII "Lærke"
The Kramme and Zeuthen KZ. 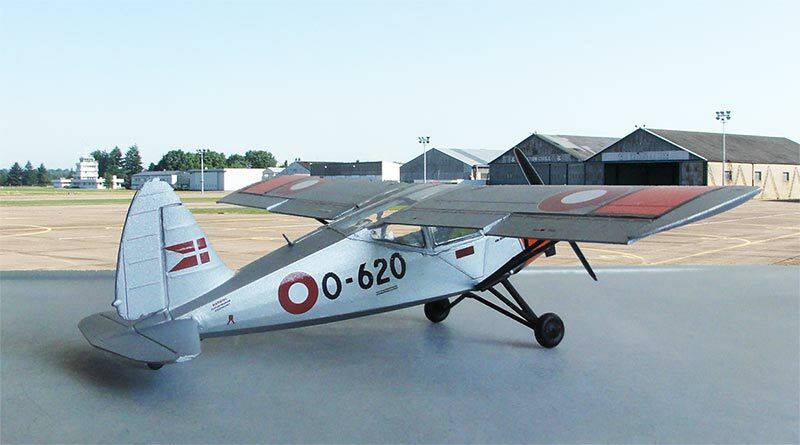 VII "Lærke" was a Danish aircraft type designed just after the end of the Second World War. 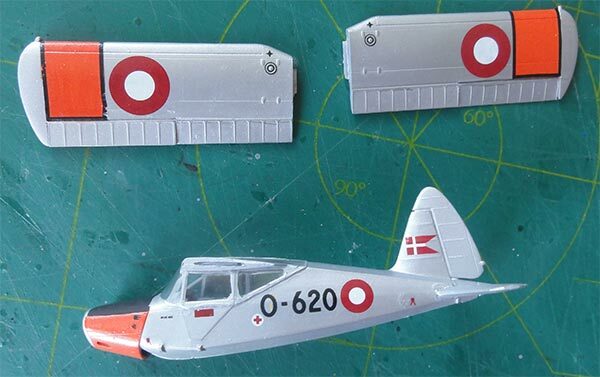 About 10 of them were flying from 1948 in the Danish Air Force for military observation tasks and they remained in service until 1977. 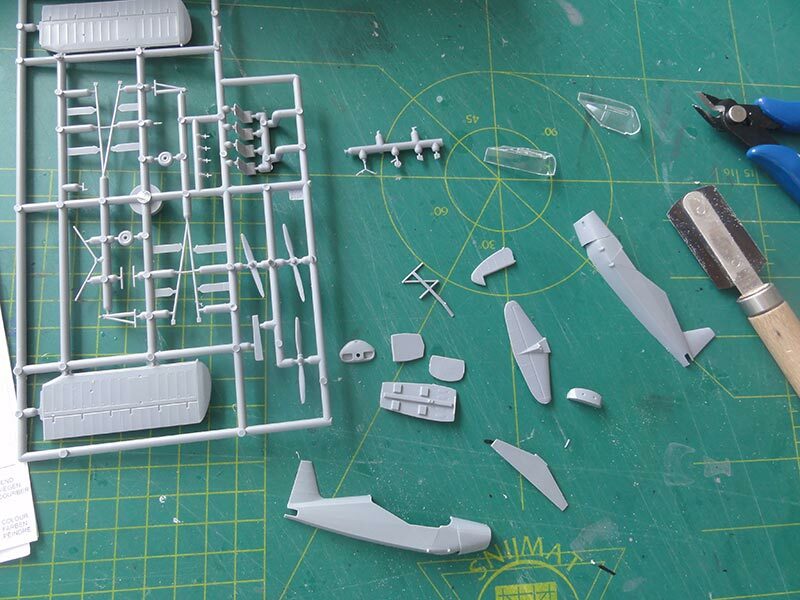 A small company Stoppel came with a small 1/72 kit which is short run but neat. It is comparable in technique with MPM kits. 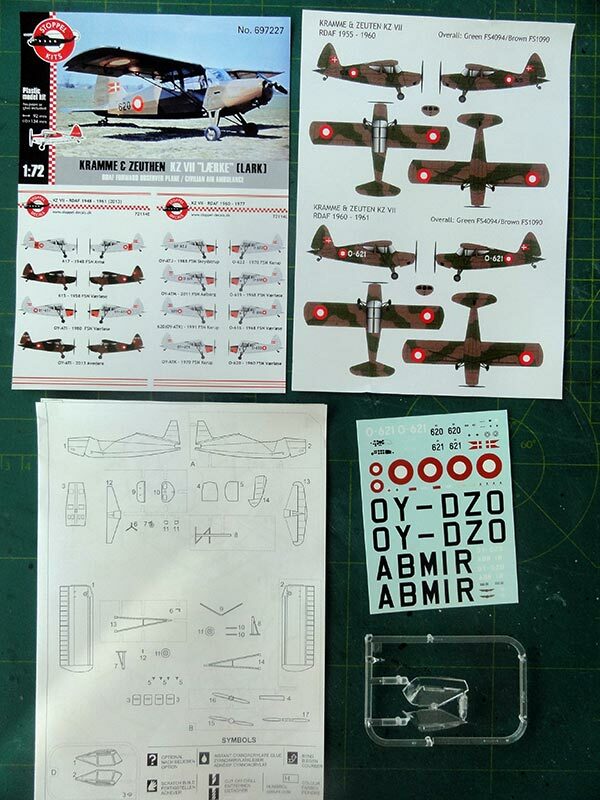 Several kit releases of the KZ.VII came with different decals. They are not cheap (about EUR 33, =) but unique. 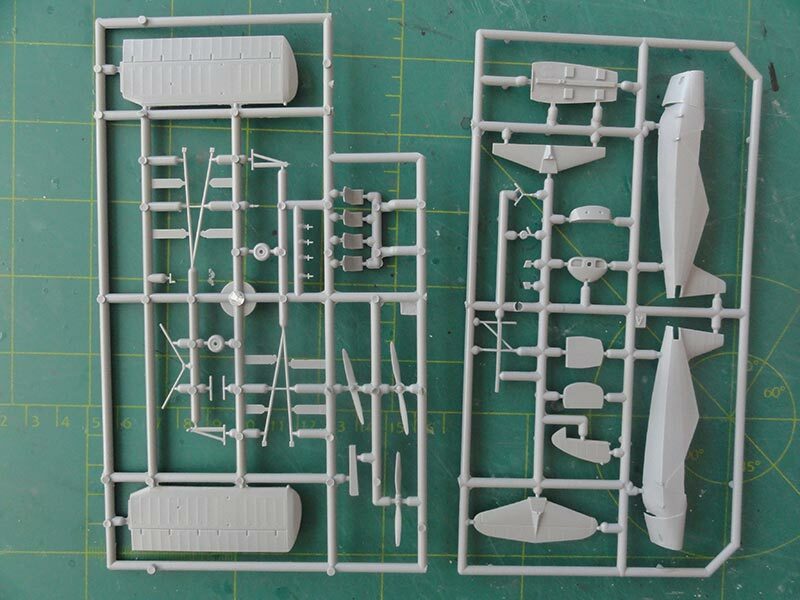 There are only 25 parts and the transparancies reasonably clear. Construction is no problem but the 2 glass parts are 1 mm too wide. I solved this by sanding them carefully at the middle edges before installing these. 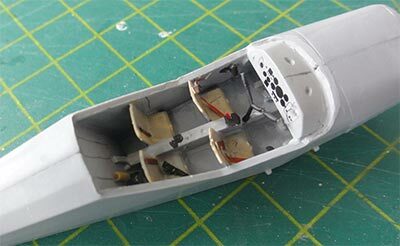 The interior got a light brown and light gray color and the seats some straps made from tape. 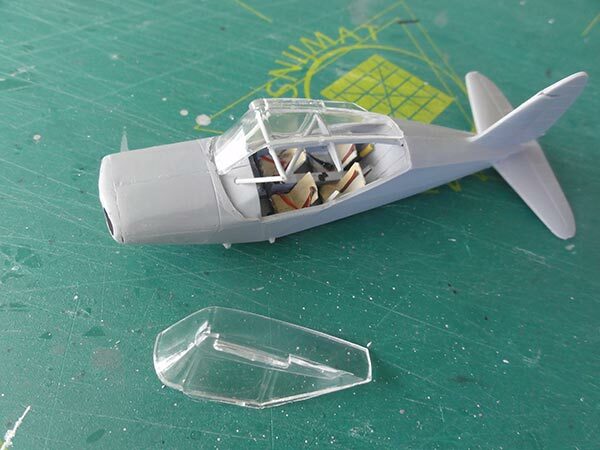 Within the cabin I also added some plastic rod to suggest the frame work, you can see those clearly. After that, hardly any filler is required. 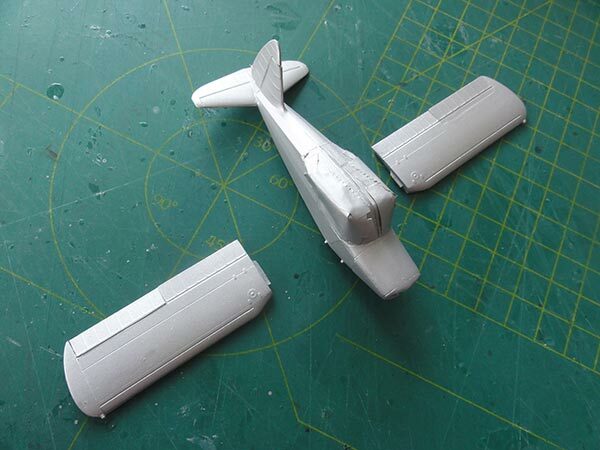 The fuselage got a base grey with Revell 75 "steingrau" aqua as primer to check for any errors in filling. 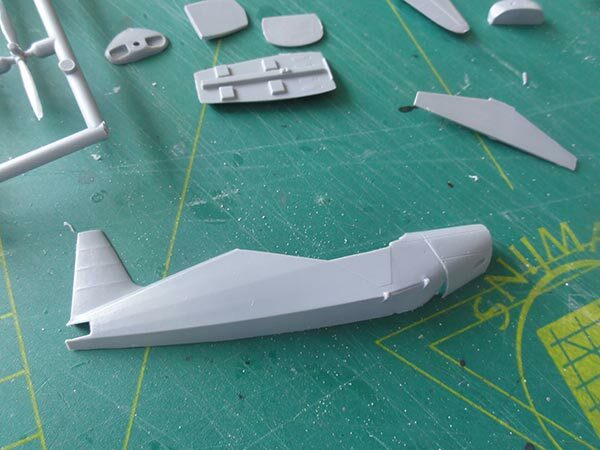 ... the fuselage was masked and the not yet installed wing halves were given an aluminum dope color finish using Revell Aqua 90 with airbrush. 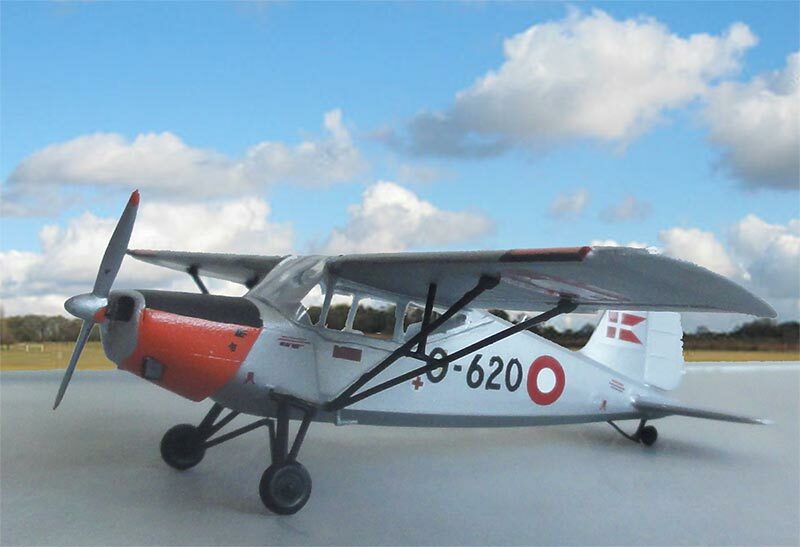 The model was to be made as KZ.VII in a scheme shown about but with registration O-620 as it was still flying as a civilian aircraft from Karup in 1991. 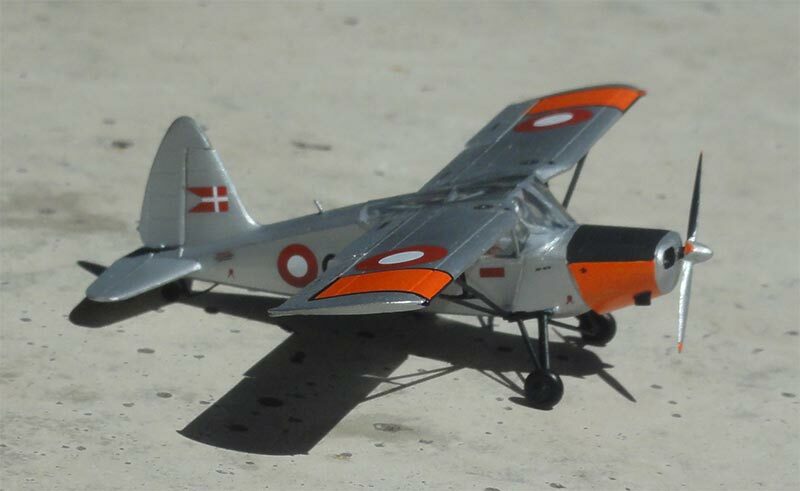 This particular aircraft also has a bright orange nose and wing panels for which I used Revell aqua 30 orange followed by the black anti-glare area. 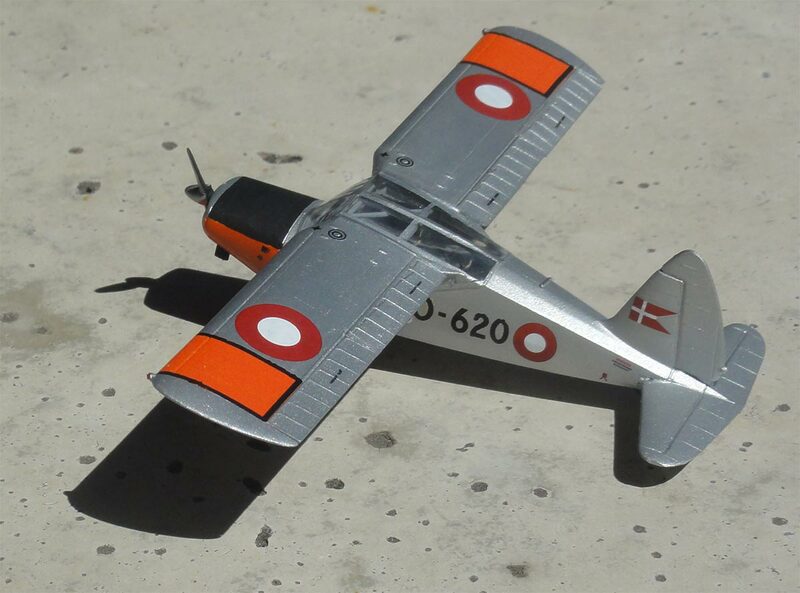 I also airbrushed a spare decal in this orange just in case I would need to repair anything. 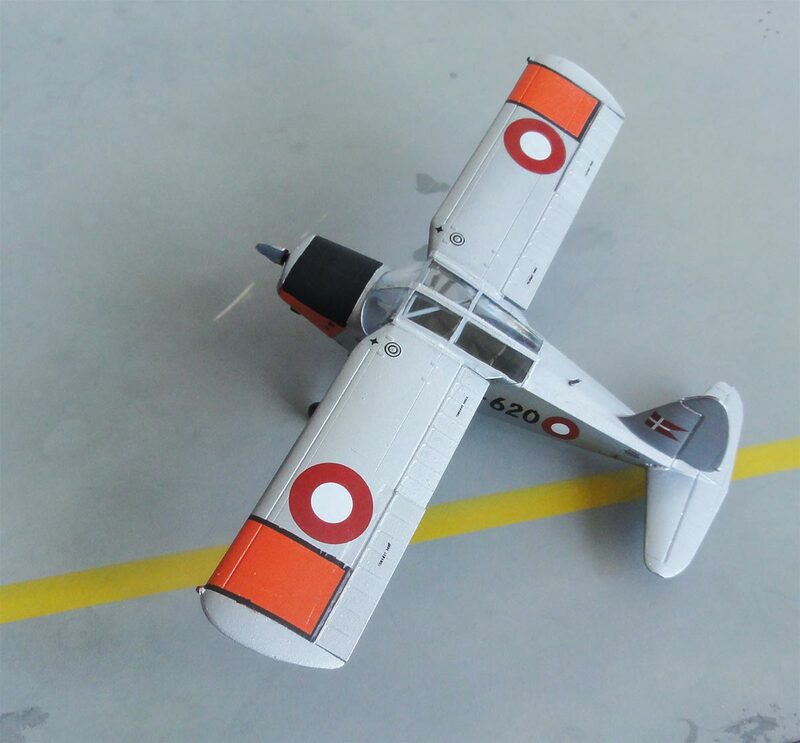 The kit decals are very vulnerable. 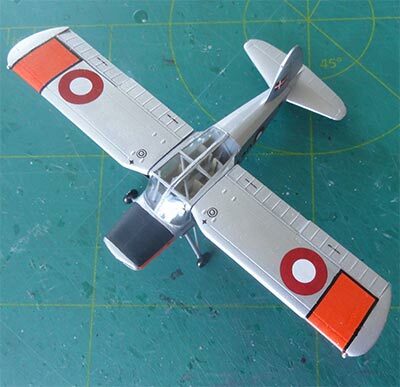 My modelling friend Peter pointed this out so to make sure I applied a layer of Microscale decal film with a wide brush and he gave me also some spare decals from kit #72114E. 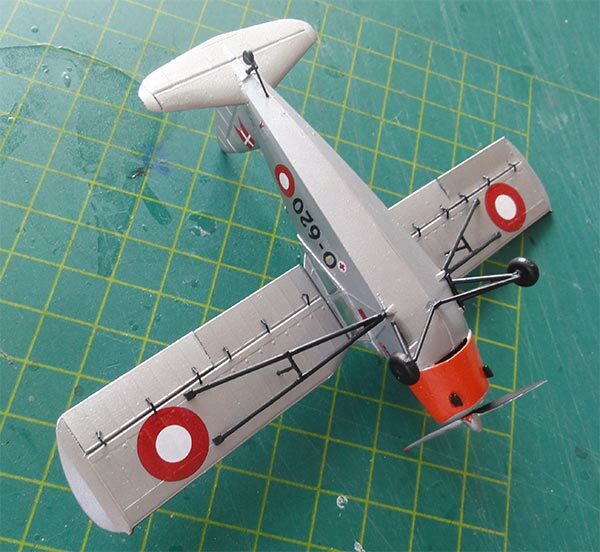 Then neatly cut out each decal and apply. The black orange panel outlines were made with black decal stripes. I also put some missing small black texts on the model with a tooth pick. 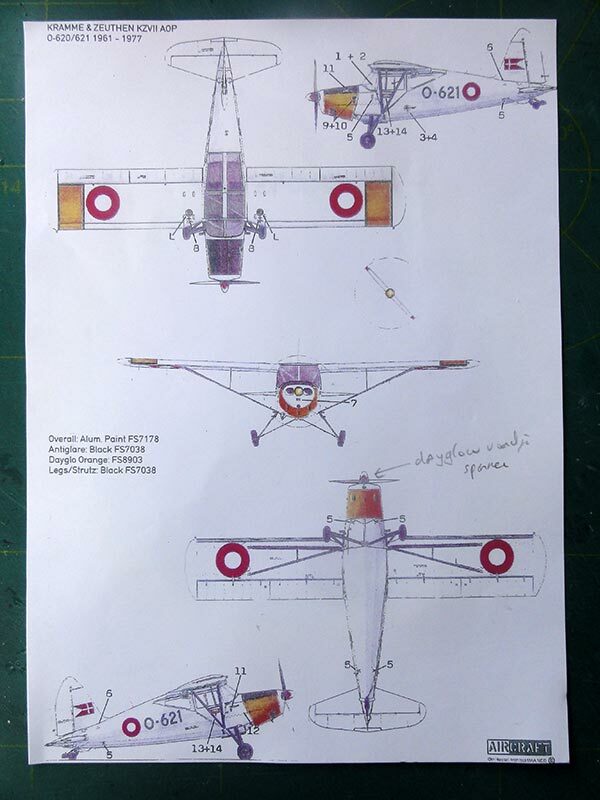 The wing halves were now fitted in symmetry with a light V-position / dihedral. 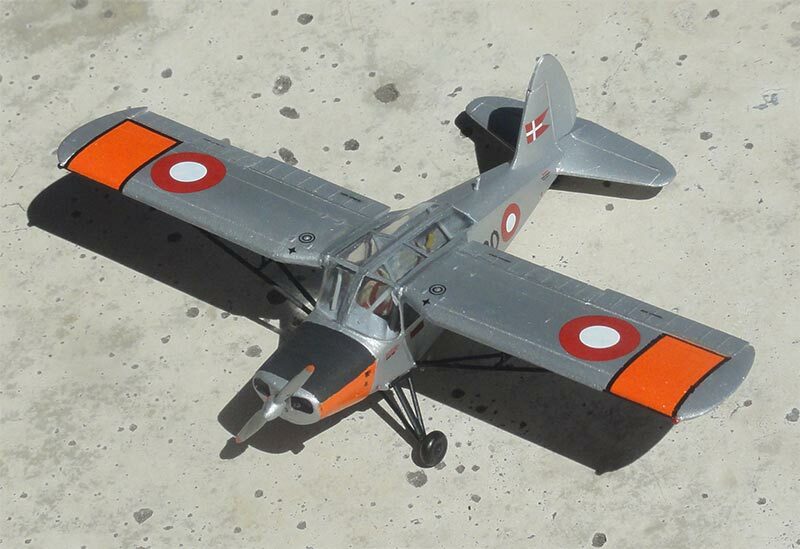 The wing struts were painted black. To get an even sheen, the model got a gloss coat of varnish airbrushing Johnson Future / Pledge. 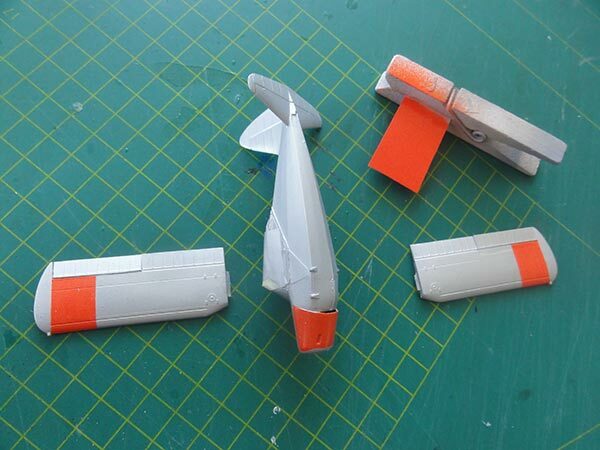 The 2x6 flap hinges are missing in the kit, I made them from very thin black stretched sprue. 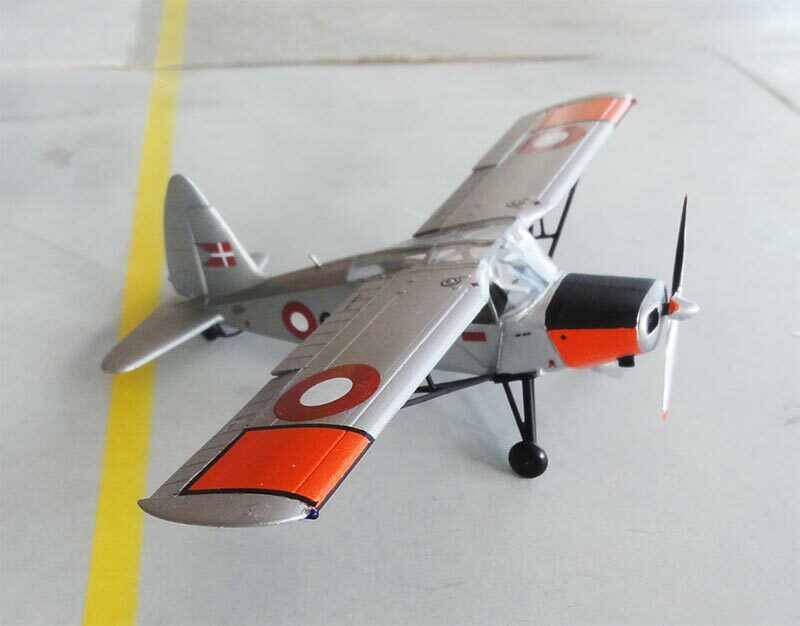 The model was completed with propeller #B25 and the small steps were also fitted as well as a towing brace at the tail wheel. 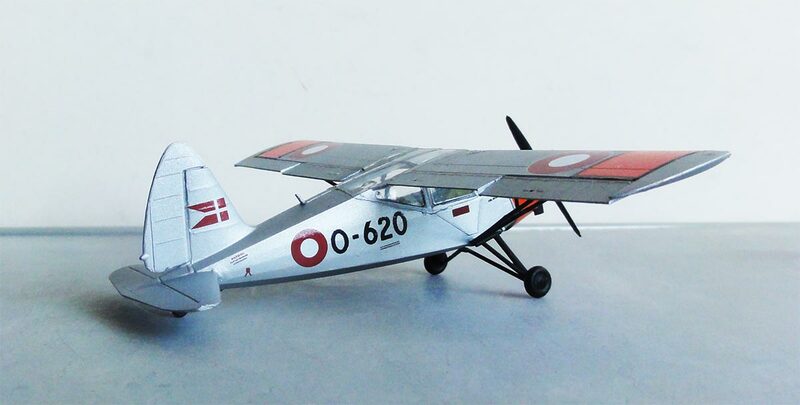 A nice rare model of Danish manufactured aircraft is now in the World Air Forces collection. 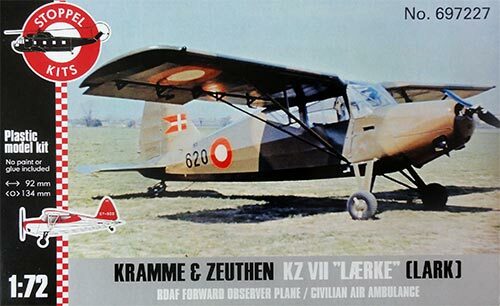 The KZ.VII, registration O-620 as it was still flying as a civilian aircraft from Karup in 1991. 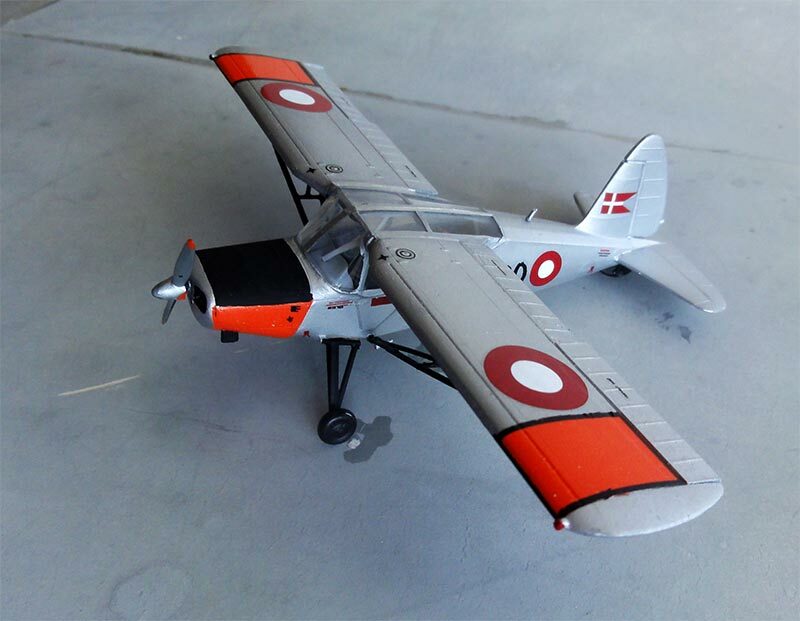 - The history of the Danish military aircraft, Ole Nikolajsen, 2017.